Welcome to the world's leading trade fair for woodworking and wood processing plant, machinery and tools. LIGNA 2019 - from 27 to 31 May in Hannover. 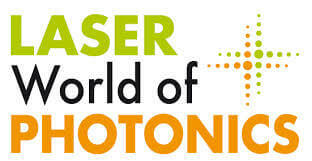 As the industry’s leading trade fair, LASER World of PHOTONICS attracts more than 1,300 international exhibitors, which are the most important stakeholders in the field of photonics. The international trade fair Motek, which takes place in Stuttgart from 07.10.2019 – 10.10.2019, is the world’s leading event in the fields of production and assembly automation, feed technology and material flow, streamlining through handling technology, and industrial handling.